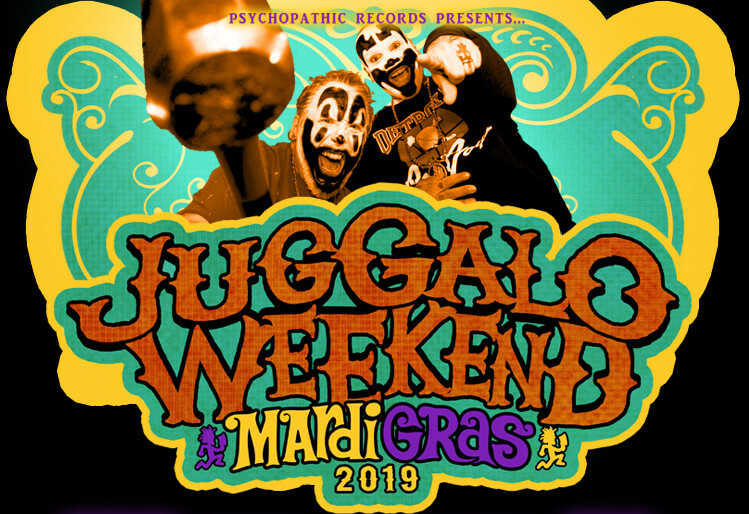 News > Psychopathic News > Juggalo Weekend Mardi Gras VIP Passes Now Available! Juggalo Weekend Mardi Gras VIP Passes Now Available! If you’re already heading down to New Orleans, LA for Juggalo Weekend 2019, you may want to consider enhancing the experience with a VIP Package! They are available on either day: Saturday, February 16th or Sunday, February 17th. See all you ninjas in New Orleans!